Horn of Africa Regional Environment Center and Network –Addis Ababa University organized a two days workshop on Integrated Land Use and Development Plan for Gambella Peoples’ National Regional State on 16th and 17th November, 2018 at Intercontinental Hotel. Mining, settlement and demography, health, marketing, road and transport, urban water supply, land husbandry, energy and urban land use were among top agendas of the workshop. The purpose of this workshop was to make final evaluation and critiques on integrated land use and development plan which is expected to contribute sustainable transformation of the lives and land resources of the region by way of guiding the optimal use of the land and water-based resources through coordination, aligned and harmonized land use and development plan as a guide. In his welcoming remarks, Research and Technology Transfer Vice President Delegate of the AAU, Prof. ZerihunWoldu stated that Horn of Africa Regional Environment Center Network works for sustainable development in collaboration with six countries including Ethiopia. He added that during the session more than 15 scientific papers will be presented on the proposed development plan and urged the participants for their active engagement to enrich the plan with constructive comments and feedback which is of paramount for the successful implementation of the plan. Dr. Lou Obup Head, BoAGPNRS , Gambella in his part noted that the region had given emphasis to this integrated land use plan and made an agreement with HoA-REC&N, Ministry of Agricultural and Ethiopian Wildlife Conservation Authority to improve the current land use of the region and to substantiate sustainable development for the region. 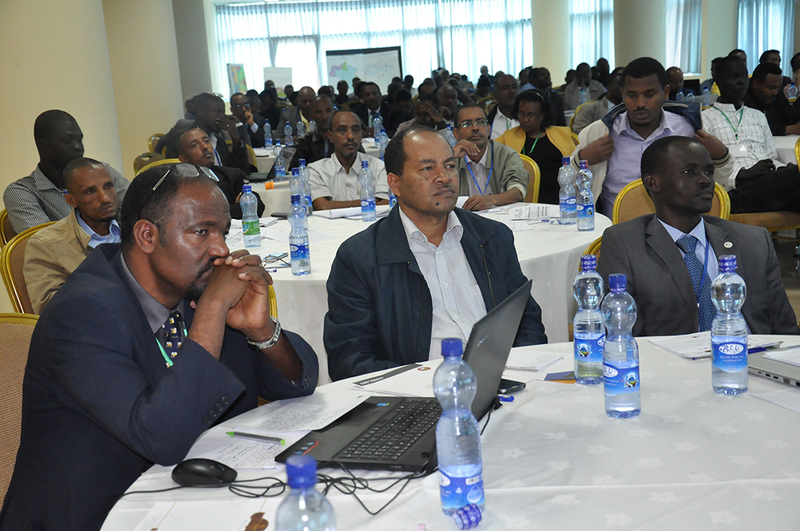 Dr. Mekuria Argaw, Int/ED Horn of Africa Regional Environment Center and Network –Addis Ababa University on his part stated that during the last ten years the center performed wide range of activities towards environmental development. The center helped six PhD fellows to attend their PhD program at Belgium and Netherlands in Eco-tourism and Natural Resource Management. 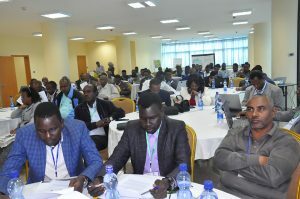 Furthermore, said Dr Mekuria, in collaboration with AAU Technology Institute, the center designed curriculum for integrated water resource management and offered training too. The workshop featured discussion sessions, reflections and concluded with ways forwards.